Rebecca burst in to the gym full of energy and enthusiasm just a few short weeks a go and we are sad to see her leave Leicester so soon. Coming in with a solid judo pedigree and competitive experience she has done her previous coaches proud demonstrating good technical knowledge, a great work ethic and strong fighting spirit. In addition to her hard work on the mats she has been willing to help and advise other students and quickly become a popular member of the team. In recognition of her work ethic and positive energy she brings to the gym we are very proud to make Rebecca our August 2015 Student of the Month. We hope you come back for a visit again soon! For the first ever Eat Sleep Grow Repeat seminar we have something special for any No-Gi practitioners. Not just one high level instructor but two, both sharing techniques from the strongest areas of their games. If that wasn’t enough we’ve thrown in a yoga routine designed by two qualified yoga instructors specifically for Jiu-Jitsu. To top it off we have an inspirational talk on goal setting for combat sports and we have managed to bring you all this for the ridiculously low price of just £25! Simply put, Neil is receiving our student of the month for his compassion and generosity. There are other reasons we could list but it’s Neil’s quickness to help his teammates that has shone through. Rarely have we seen someone so giving and asking for nothing in return. This is one of the only occasions we haven’t looked around the classes for candidates as other members approached us saying who we should award it to! In recognition of his kindness and willingness to help others we are very proud to make Neil our July 2015 Student of the Month. Every small business needs its evangelists. Those customers, clients or members who love what you do and tell everyone who will listen about it. They are the best and most honest promotion you can get. Dean is one of those guys. A new member of the academy, he has whole heartedly thrown himself in to training, embracing our ethos of change and growth through martial arts and openly expressing the positive influence it’s having on him. In recognition of his hard work on the mats and spreading the word about the benefits our academy we are very proud to make Dean our June 2015 Student of the Month. It’s always great to see one of the good guys make a breakthrough. Joe is certainly one of the good guys. Quick to smile, chat and joke around he’s easily made close friends at the gym. And this year has seen his grappling come on in leaps and bounds as he’s begun to relax and have more fun with his training. In recognition of the energy he brings to the gym, attitude to training and progress made through hard work we are very proud to make Joe our May 2015 Student of the Month. 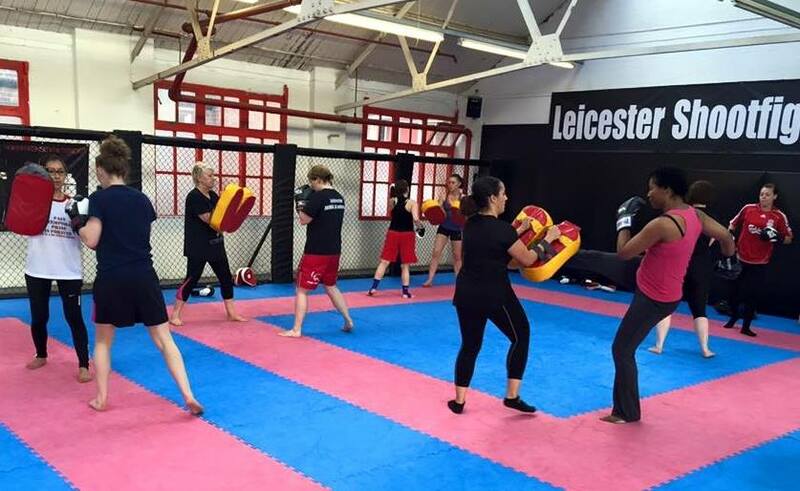 Join female instructor Lucy Schofield for ladies only kickboxing and fitness training at Leicester Shootfighters. Learn punching and kicking techniques in a fun and safe environment and get in shape for the summer with out combat fitness routines. All levels welcome. 16 years and over only. 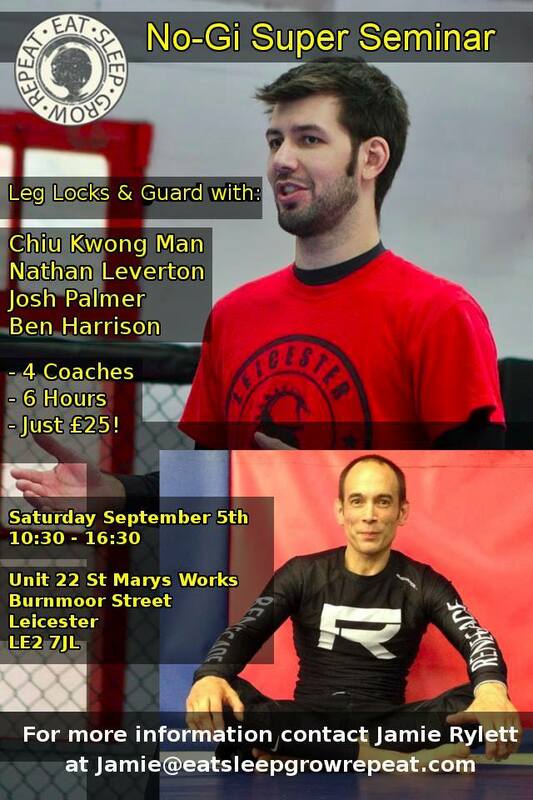 Call 07926 110 726 or email LeicesterMMA@hotmail.co.uk for more information. Want to try MARTIAL ARTS training in Leicester? Our next BEGINNER COURSE starts Tuesday 6th October. Suitable for all levels, this course is aimed at those new to martial arts with no MMA experience. Payment must be made before first session to a secure place. Mixed Martial Arts (MMA), as popularised by The Ultimate Fighting Championship (UFC), has revolutionised modern martial arts and is the fastest growing combat sport in the world. This course is designed for complete beginners in MMA. It is a step-by-step introduction to the different combat sport elements of MMA and fundamental fitness training, the perfect way to sample training or as a stepping stone to beginning your martial arts journey. Over the 4 week course you will learn effective techniques from each of the ranges which make up a complete MMA fighters skill set as well discover the secrets of how fighters train for competition and improve fitness. All done in a small group led by an experienced MMA coach. There has never been a better time to join in, get in shape and have fun trying out combat sports. Contact us now to secure a place.